A classic, marine mid-weight, cotton knit women's sweater with shoulder button closure. Classic Marine midweight cotton knit sweater for a casual marine style. 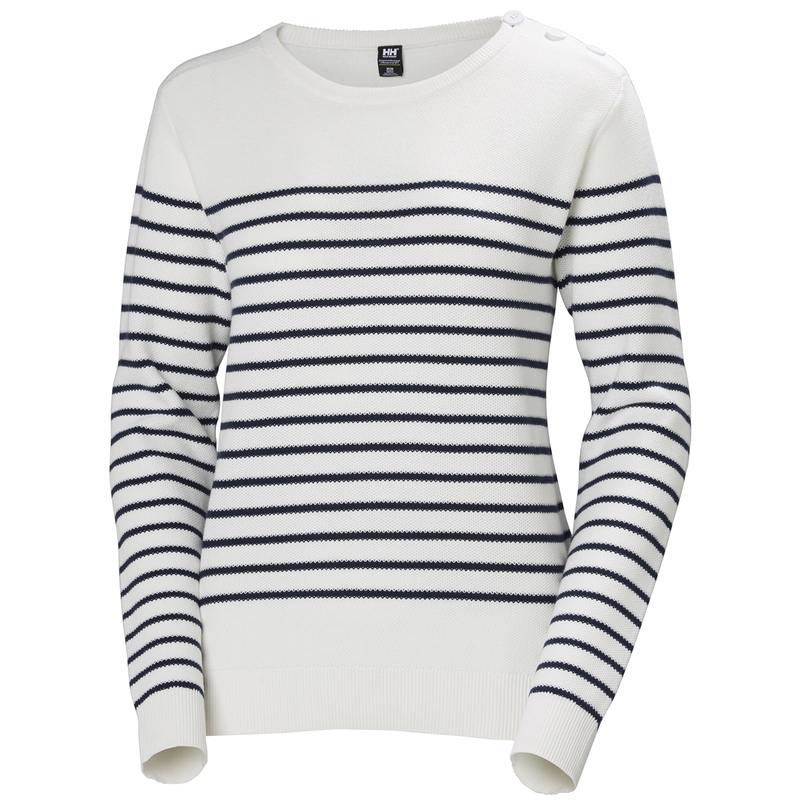 Featuring a classic sailor silhouette with shoulder button closure and a Breton striped version for completing your Nautical outfit.